Ready for an SUV that stands out on the streets of Barrington? Discover Italian styling, a 2.0L Turbocharged 4-Cylinder Engine, and 8.8-Inch Widescreen Color Infotainment System on the 2019 Alfa Romeo Stelvio. 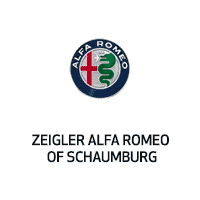 Look through our inventory available to take home today at Zeigler Alfa Romeo of Schaumburg. Why Buy A New Alfa Romeo Stelvio? If you aren’t ready to commit to the 2018 Stelvio, we suggest taking a look at the review of the just-released 2019 Stelvio for the latest from the Stelvio model. Both are available with affordable financing at Zeigler Alfa Romeo of Schaumburg near Mount Prospect.